First of all, what are Penny Stocks? These stocks are generally defined as a stock trading under $5.00, usually less than that. As per the SEC definition, penny-stock status is determined by share price, not market capitalization or listing service. Penny-stocks are sometimes called "Micro Cap Stocks". They tend to be fairly volatile, significantly rising and falling in value in very short spaces of time. Many low price stocks cycle up and down as many as two or three times a year. Many have a history of falling to a 52 week low and then bouncing back up within a predictable period of time. Some cycle up off that 52 week low only moderately, while others take off on truly wild rides. Trading Penny-Stocks can be tricky. There are also quite a few small companies that have brand new products which are about to be announced. The common stock of a small company like this can take off on a tear to the upside very quickly. The same thing can happen on good sales and earnings announcements. 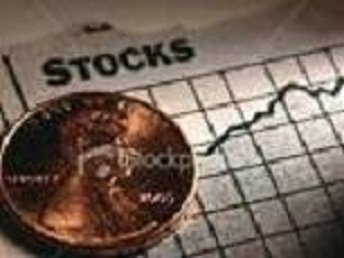 Before buying a penny stock in the stock market, it is important to understand where and how trading penny-stocks are processed. 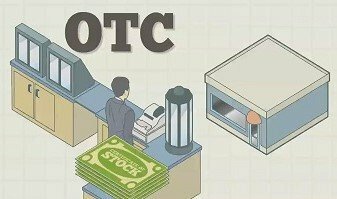 Most Penny-Stocks are not traded on any of the major stock exchanges, but rather on the OTCBB. Companies quoted on the OTCBB must be fully reporting (i.e. current with all required SEC filings) but have no market capitalization, minimum share price, corporate governance or other requirements to be quoted. Companies which have been "de-listed" from stock exchanges for falling below minimum capitalization, minimum share price or other requirements often end up being quoted on the OTCBB. Pink Sheets, is an electronic quotation system operated by Pink OTC Markets that displays quotes from broker-dealers for many over-the-counter securities. Market makers and other brokers can use Pink Quote to publish their bid and ask quotation prices. Starting in 1913, and prior to the creation of the electronic system in 2000, these quotes were printed on pink colored paper by the National Quotation Bureau. The term Pink Sheets is also used to refer to a market tier within the current Pink Quote system. Part of understanding how to trade and buying penny-stocks, creating a list of penny-stocks, and buying the best penny-stocks, is doing your due diligence about the particular company you are interested in. These stocks are often relentlessly promoted as part of illegal pump and dump schemes. "A company's web site may feature a glowing press release about its financial health or some new product or innovation. Newsletters that purport to offer unbiased recommendations may suddenly tout the company as the latest "hot" stock. Messages in chat rooms and bulletin board postings may urge you to buy the stock quickly or to sell before the price goes down. Or you may even hear the company mentioned by a radio or TV analyst. This is a point where a stock trader should be asking himself, what are the risks? Unwitting investors then purchase the stock in droves, creating high demand and pumping up the price. But when the fraudsters behind the scheme sell their shares at the peak and stop hyping the stock, the stock price plummets, and investors lose their money. Fraudsters frequently use this ploy with small, thinly traded companies because it's easier to manipulate a stock when there's little or no information available about the company." So in other words, be careful when you are buying Penny-Stocks! The Guide For Penny-Stock Investing is a book that will help you with buying and stock trading Penny-Stocks. Dedicated to the experienced and novice investor who wants to learn about investing in penny-stocks, the book offers the investment and trading strategies used by the author and other experienced micro stock traders. You will learn how to use strategies used by seasoned penny stock traders and investors that they use to make money in penny-stocks. You will learn about stocks that rose over 1000% and how to apply the reasons they grew in value to your own investments. How To Really Make Money Trading Penny Stocks! Tim’s Personal Penny Stock Watchlist! Return from "Penny.Stock" to the Home Page "Stock Market For Beginners"